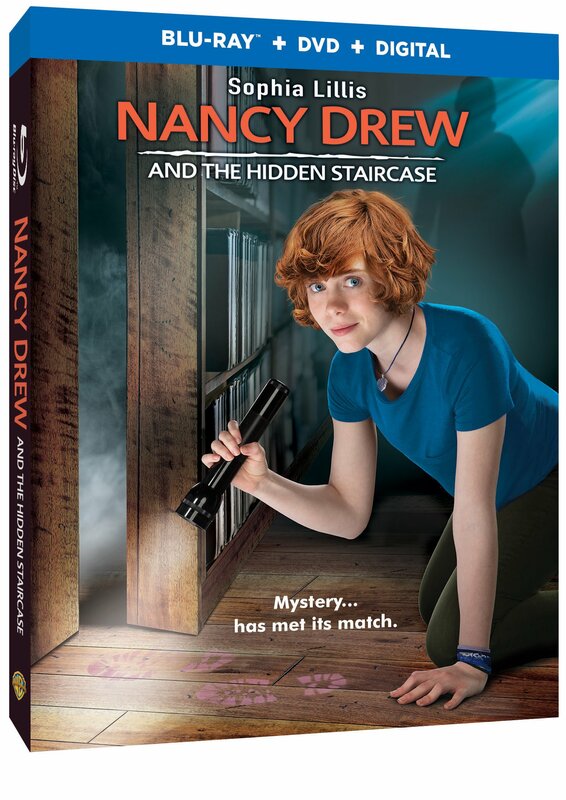 Nancy Drew is at it again! This time we’ve got a hidden staircase and a mystery that’s sure to raise the hair on your neck!!! She longs for excitement, adventure, and the chance to make a difference. Nancy gets that opportunity when she is asked to help solve the ghostly activity at the Twin Elms mansion. Can she help explain the creaking footsteps, exploding lightbulbs and the ominous creature? Is it the handiwork of high-school bully Derek Barnes? Or is it possible that the ghost of original owner Malcolm Colfax is back for revenge? It’s always fun reading the series, especially if you’ve got a child to read it with! We love the fun in mysteries around here and she never disappoints! This film has a great cast and Sophia Lillis plays the character well! It’s definitely a film you don’t can’t miss adding to the collection! I love the way the Nancy Drew series get those creative sleuth juices flowing! I loved reading Nancy Drew books growing up. The stories are so great and I loved solving mysteries. Kaycee recently posted…Welch’s® Easter Fruit Snack Giveaway! I used to read Nancy Drew books as a kid. I love a good mystery.